Week Three of my internship was one to be remembered at Total Marine Solutions. Although the week was short due to a day off to celebrate the Fourth of July, there was more than enough to keep us intrigued with our work. 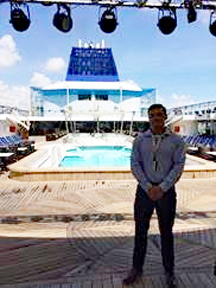 Monday was a ship visit to the Port of Miami. 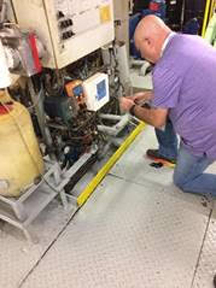 I was able to join Boris onboard a cruise ship that required Total Marine Solutions’ assistance in their engine room. Being in a working engine room and learning about all about their equipment was fascinating. To witness the products that TMS services to customers onboard and functioning was a great connection to the production and distribution side of things that I am familiarizing myself with at the TMS office. 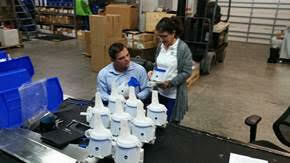 Tuesday and Thursday I spent the day in the warehouse of Total Marine Solutions. Marvin, who oversees the JETS inventory, showed me the ins and outs of the warehouse. 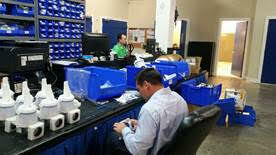 He also showed me how parts are assembled and then shipped to customers as products. I assembled some parts for products that customers have ordered. It was very satisfying to make something that is going to be used by a real world company. 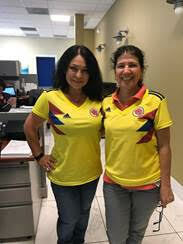 However, Tuesday was a tragic day for TMS when Colombia suffered a loss that devasted our hearts. Our favorite soccer team was eliminated by England from the World Cup by way of penalty kicks in overtime. Wednesday Total Marine Solutions was closed for the Fourth of July. We would like to thank all the firefighters, EMS, police and other public service members who worked the holiday. On Thursday, under the diligent guidance of Josefina, I learned how to make one of TMS’ most complicated valves. She has a lot of expertise in this field, so to learn a few skills from her plethora of knowledge was quite an honor. Josefina is very good at what she does and I was very happy to learn from her in the warehouse. Friday, I spent the morning communicating with foreign and domestic ports. I would ask ports environmental questions relating to their pollution regulations. I input information from those who responded into Ocean Guardian, specifically updating that port’s data for Ocean Guardian users to have. This is a very long and ongoing responsibility that I will be reporting for the remainder of my blog posts. The second half of the day involved planning out how the Ocean Guardian team and I are going to create a presentation to share at an upcoming meeting.